In the Nordic regions, fun isn’t just reserved for the winter months. Not to be outshone by its Northern Lights counterpart, summer has a celestial ballet all of its own – the Midnight Sun. Thanks to the Earth’s axial tilt in destinations north of the Arctic Circle, the sun never falls below the horizon over high summer. It’s the reverse of winter’s perma-night. And, the further north you go, the longer this phenomenon lasts. So, while Bodø in northern Norway might only enjoy the Midnight Sun’s cosmic presence over June, Svalbard is bathed in 24-hour light from April to August – four months. The result? An ethereal glow that recalls all the beauty of a sunrise, casting Scandinavia’s rugged landscapes in soft hues of reds and burnished golds. It really is a photographer’s dream, extending the ‘Golden Hour’ that comes with dusk and twilight into whole nights of perfect light. Many of our holidays even offer the chance to go on a crash course in Midnight Sun photography. However, it’s not just a pretty spectacle. Marking the height of summer, a wave of fresh enthusiasm sweeps over the region following the long winter months. Families holiday in their country cottages, couples can be spotted cycling along rivers and hip bars spill out onto street pavements. Indeed, a whole raft of activities open up. Everything from coastal kayaking to ranging hikes are all beautified by the Midnight Sun’s radiance. What’s more, the Arctic Circle is a big place, offering a variety of destinations to suit every taste. Of course, the most northerly latitudes get the most attention, with the Midnight Sun season extending the longest. While Svalbard’s long days are perfect for prolonged polar-bear viewing, the wildernesses of Greenland glitter with icebergs and colossal glaciers. Not to miss out, Iceland is also perfect an epic road trip. However, if you look closer to home, Norway’s scenery is every bit as dramatic, with the mountainous Lofoten Islands among the highlights. You might also want to let the train take the strain, with a journey aboard the iconic Polar Express. 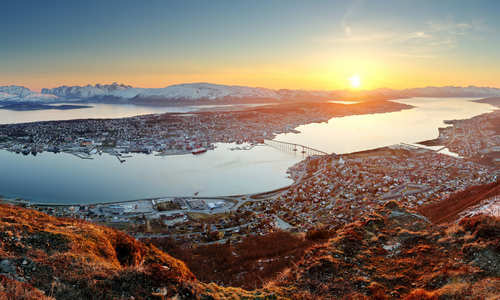 Taking travellers up from Gothic Trondheim, it weaves along fjords and through verdant valleys to arrive at Bodø – the northern terminus of the Norwegian rail network. 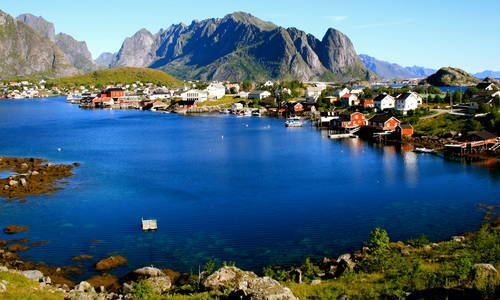 Alternatively, hit the waters with a fjord cruise. Having started life as 19th-century postal ships, Hurtigruten now takes passengers with its precious cargo, bringing them along Norway’s cragged coast to wind through mountain islands and giant glacial fjords. You might also want to combine your time on the water with the chance to spot whales, their breaching leaps iridescent under the Midnight Sun. 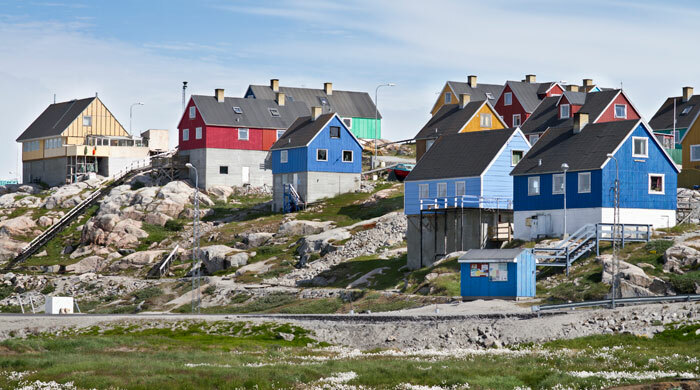 This being Scandinavia, there’s also a full spread of innovative accommodation, from stilted designer cabins to remote wilderness lodges. Prime among them is Swedish Lapland’s just-launched ICEHOTEL 365. From the makers of the original ice hotel, its ice bar, restaurant and dramatic sculptures are all kept frozen, ironically, by the solar power of the Midnight Sun. Staying in Swedish Lapland, there’s also the equally innovative Treehotel. Part art installation part treehouse collection, it offers the opportunity to stay in floating UFOs, a bird’s nest and mirrored cubes all strung up in the canopy of an evergreen forest.